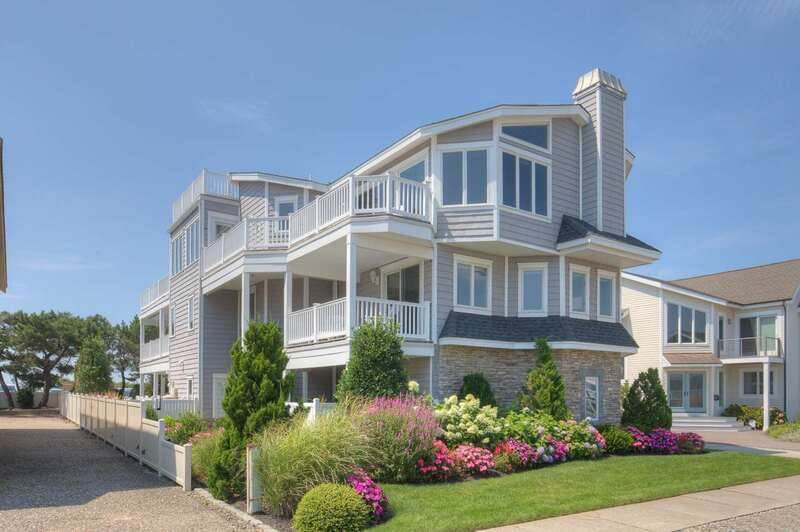 It's not very often the opportunity arises to own a 2nd from the beach South side of last street in Stone Harbor home with panoramic views of the ocean, bay and the meadows with unobstructed views South, East and West sunrises and sunsets, from most of the home. You can also relax in the beautiful refreshing pool area then shower off in the unique grotto shower, this is a beautiful outdoor area meant for much enjoyment for family gatherings or and evenings swim in the moonlight. This home has better views than the beachfront in same location. The most southerly point of the island, Stone Harbor Point named by AOL travel one of the top 10 secret Beaches. You can partake or watch catamarans, kayaks, paddle boarders, or just swim on the guarded beach. The wildlife, bird watching and sailboats are just a few other opportunities and don't forget the wonder walking paths all along the point and shell collecting andtidal pool wading. All wires are underground on 122nd Street, ensuring unobstructed views. There are multiple decks (all new) including a rooftop deck! This is one of the few 3 story grandfathered homes, the huge first floor garage can serve as cabana for the pool as well as an additional (separate) storage room and powder room Middle floor has den with wet bar leading out to a nice size deck and 3 bedrooms 2 full baths and nice size Laundry room. Top floor has been almost 100% renovated, pictures do not do it justice, just about anywhere you are you see water the decks are accessible from all rooms. Extensive renovations both inside and outside including solar with back up battery pack, siding, roof, pool and landscaping, exterior stone work including grotto style outside shower call agent for full list of updates. 3 stop elevator and alarm system, gas fireplace and cathedral ceilings, just to mention a few things. Open layout in a very relaxed and comfortable atmosphere. Dining area is currently set up as such but previously used as a sunroom. Professionally decorated and painted, being sold fully furnished minus a few personal things and most artwork Realtors see Associated docs.